Well, I said that it felt like a surprise winner was on the cards and I was right! I said all along on this blog that I thought the Ukraine would be top three, and I am actually delighted that Ukraine has won the Eurovision Song Contest 2016. I was having a conversation with a friend during the first dress rehearsal for the second semi-final, last Wednesday. After seeing all the acts he asked me what I thought about the Ukraine entry. I told him top three for sure. He thought I was talking about top three in that semi-final, not the whole contest. When I clarified top three on Saturday night he looked slightly puzzled, like he didn’t get why I would say that (mind you, it was the first time he had seen and heard the song). Two days later, it’s his favourite song! I highlighted last week the political reading/subtext/lived history of this song has been dismissed by the European Broadcasting Union, and the artist Jamela. I still don’t see how it can be read (and heard) as anything other than political. 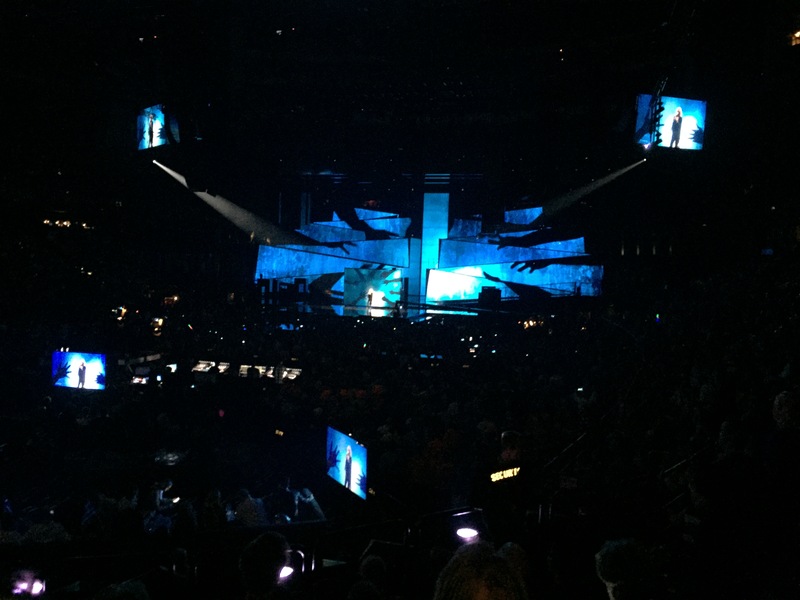 Clearly it connected on that level, as well as on the spectacle of the performance (great lighting, staging and art direction, really aided the storytelling of the song). This victory particularly feels like it has captured the fundamental principles of the Eurovision Song Contest: solidarity through song and awareness of our cross-cultural differences, histories and music. Never before has a winning song felt quite so political, which should give us pause for thought today. Russia’s entry never quite felt a worthy winner for me, but for the televoters (viewers) it was their favourite. I think the Australian song was strong, and clearly the juries loved it, as they placed it well ahead of Ukraine. Another strong song, with an outstanding vocal. Sweden’s Frans didn’t quite work last night, and I was a little disappointed with the performance – he did it better to win their national final back in March. That said, this will be one of the breakout hits from the ESC this year. You have got to feel disappointed for the UK’s Joe and Jake. I thought they nailed their performance and vocals, but clearly the song didn’t connect with the viewers – although the juries were more favourable *and* they got 12 points from Malta. You’ve gotta love Malta for that! Looking at iTunes today, there are a handful of songs are within the top fifty songs chart: Joe and Jake (17), Frans (25), Dami Im (33), Sergey Lazarev (39). Not as many making a splash as in previous years. Then again, this is a much weaker year. I can’t see Jamala having a smash hit on the scale of other winners (such as Loreen and Måns). What did you think of Justin Timberlake’s interval performance? Did you think it added anything – other than for the American television audience who were watching live in the USA for the first time? I don’t think it added much, other than what looked like a bit of a bromance between Måns and JT. I thought Petra and Måns were much more entertaining than JT and many of the songs this week. In fact, other than the winning song and meeting Cheryl baker this week, they have been one of my highlights. Naturally funny, they delivered that script (everything they said was scripted, btw, nothing off the cuff) as if it were more spontaneous than it actually was. Pity that Måns’ own interval song was one of the poorest of the week, ironically! What did you make of the voting presentation? The result was always going to be the same – but did you like how it was presented? I’m not sure. Good that there was a sense of heightened tension, especially during the reveal of the top ten – much more so than in the past few years when the runaway winner has been known several countries from the end of voting. What was bad was the brutal way in which the first 16 countries were revealed. And yes, the fact that the UK were revealed as the second lowest with the viewers was highly disappointing. I think what will help next year is to inform the viewers of how many points are on offer, so we can be doing the quick maths towards the end to see if the leader can be caught. The unknown number of votes actually detracted from that reveal. With all that being said, that’s it for another year. I’m done (and done in!). Time to put some of these songs to bed, forever! And time to quietly reflect on another highly entertaining week. The contest will make it’s way to Ukraine next year. I will most likely sit it out next year, and watch Eurovision week from home. I feel like a year off from travelling to the heart of the contest, and a change to the routine – like I did in 2012. Thanks for reading, and if I’ve added anything to your Eurovision experience this year, I’m very happy! Au revoir, my euro chums… tack så mycket! I am back home, and it’s finally Eurovision day! 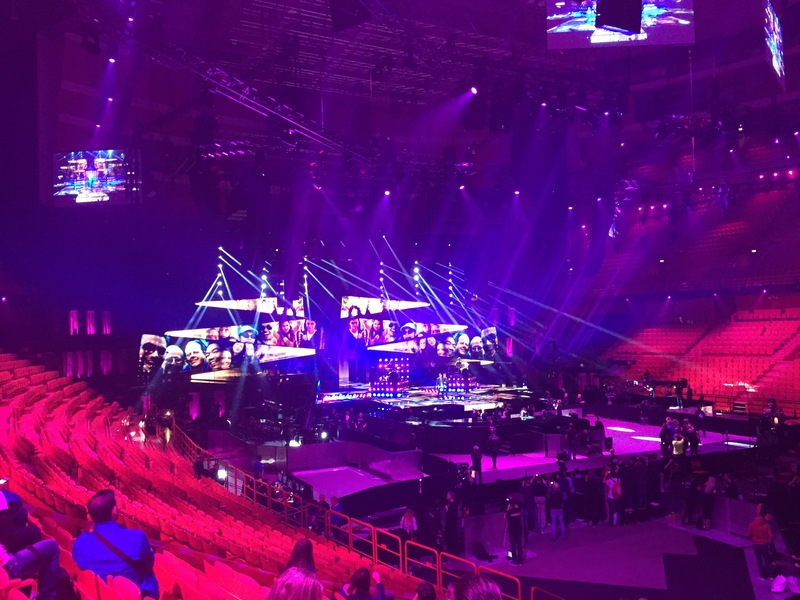 Months of anticipation are over, and in just a few hours the Grand Final will begin and Europe will decide the winner. Russia is still being touted at the hot favourite, with Australia, Ukraine, France and Sweden in the top five. I still think this year is gloriously unpredictable. A couple of years ago *no one* could have guessed that Conchita would win for Austria. That year Armenia had been installed as favourites for months. Same here with Sergei and Russia. It will all depend tonight whether it sounds like a good song, or it looks like a good performance, and what people vote for. If it was both, then he would be a winner for sure. The trouble is, there are still a lot of people pointing out that the song is actually a bit dated and dull, it’s only the clever staging that makes is memorable. At least Måns last year had both to ensure victory. We’ll have to wait and see. Tonight the proceedings will have an extra special guest – Justin Timberlake. Feels a little like that will pull focus from the other artists, but at least it will give us an interesting interval act. The broadcast is increasingly longer, and now at 3.5 hours, his inclusion might actually give this broadcasting marathon a boost. 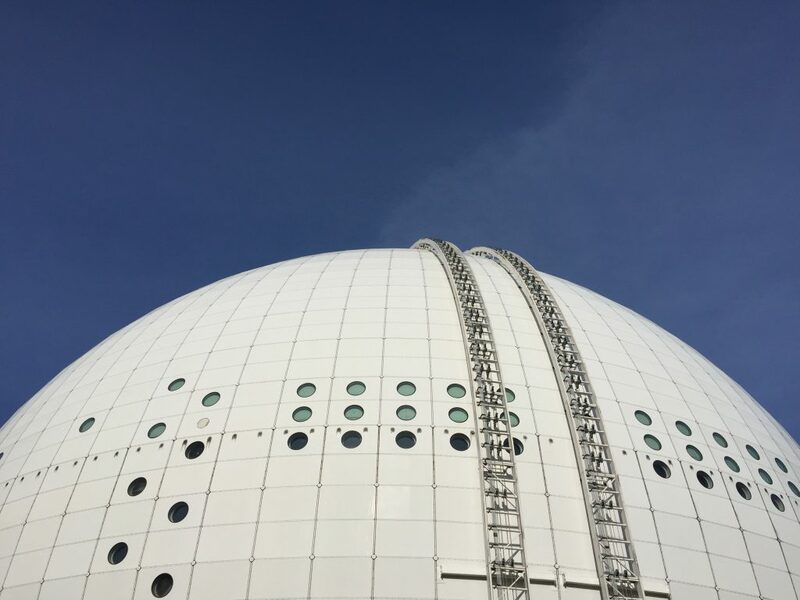 The Eurovision Research Network (ERN) has also been active during the week, as we have tweeted and Facebook-ed our thoughts and views on the contest and the issues it’s been highlighting this week. We have had lots of interest, and there is a large academic community now doing some really interesting work in ESC related areas. Hopefully EHU will host a symposium later in the year, as well as a re-launch of our website, so interesting times ahead for ESC researchers. 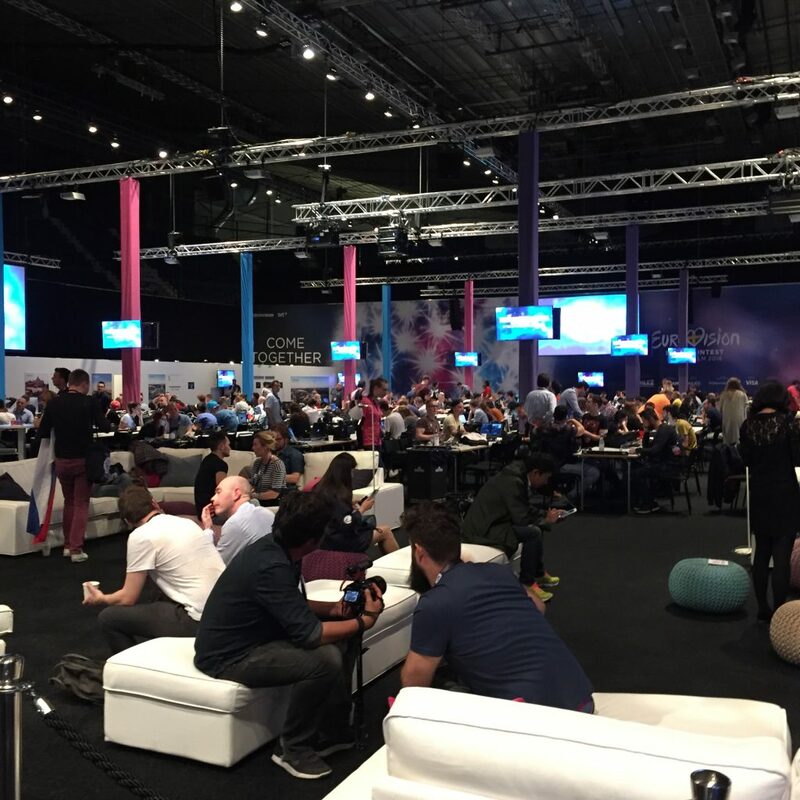 Set against the backdrop of light entertainment, there are social, cultural and political themes and tensions that are simmering, so it’s always good to take a step back and appraise the wider impact of this event. Yes, it is highly entertaining, but there are also more serious discussions that should be had. That’s why I’m proud to be in a network of academics doing some really interesting work. Hopefully tonight Graham Norton will be on good form, and guide us through with wit and insight, rather than judgment and cynicism. I hear that the commentary by Scott Mills and Mel Giedroyc during the semi-finals was all rather giddy and embarrassing. Sort it out BBC! Like I said, it can be entertaining, but it doesn’t need to be a big joke. I still hope that Sweden will win! .However it turns out, and whoever wins, I think we’re in for an exciting night. To you all – have a awesome night! By the magic of television, the second semi-final didn’t feel as bad at it had done on the two other occasions that I have seen it! I think a big reason for that is when the arena is full to capacity, and there’s a fantastic buzz. Also, the excitement of being at the event when it’s being broadcast live. 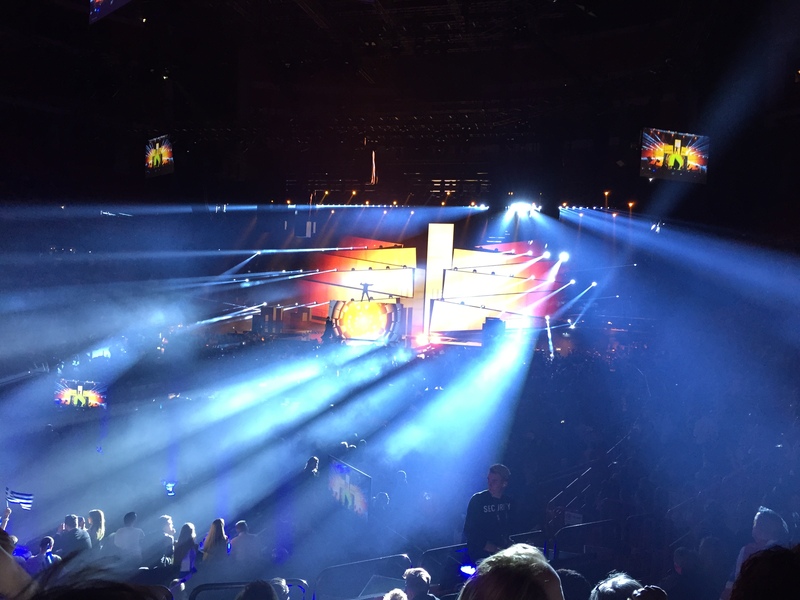 Last night I was once again sitting behind the green room at the back of the arena, with a great view of the contestants as they took their place to watch their competition and await their fate. It was a bit distracting at times, but also fascinating to watch the delegations watch their own artists on stage. 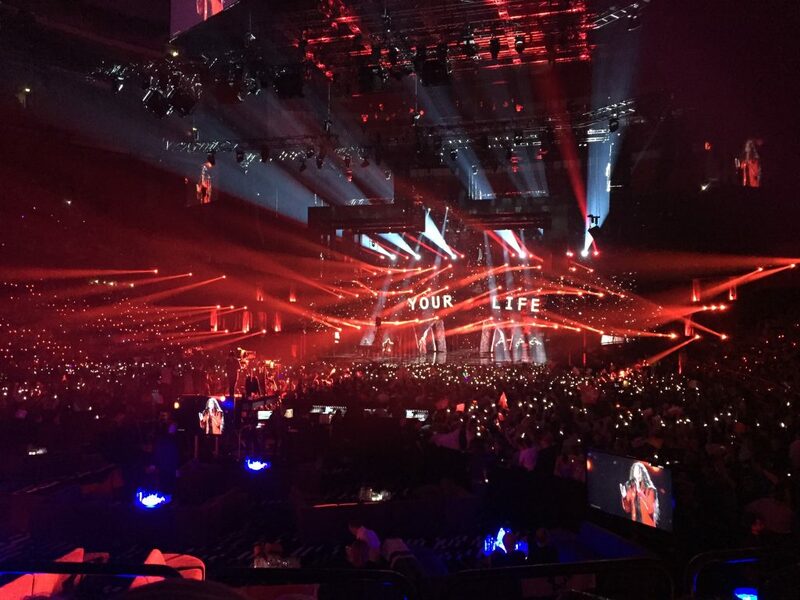 Belgium’s performance was an absolute tonic for what I think was a poor semi-final overall, in terms of song quality. You will have heard the massive cheer as Belgium was the last country to be announced to go to the Grand Final. The running order has now been revealed, and whilst Belgium closed the proceedings last night, they will open them on Saturday night. It really will get our Eurovision party started. All the right songs made it through, and if it wasn’t for me substituting Georgia with F.Y.R. Macedonia, I would have predicted 10/10 on my ‘napkin of death’. Darn. Still, 9/10 isn’t bad form! OMG – a young boy’s dream came true! The absolute highlight of the week for me. 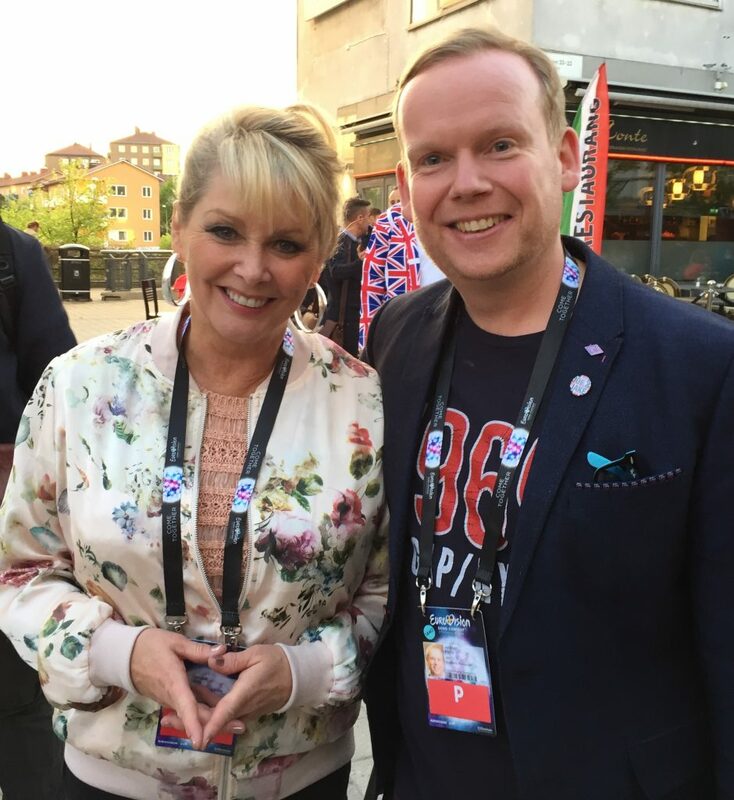 The result last night didn’t matter after meeting the legendary Cheryl Baker, who is in town (as you might have seen) to do coverage for Good Morning Britain. I got a bit giddy – thank goodness I hadn’t had a drink, it could have been embarrasing! Cheryl is a *lovely* person! What a great memory to take back home with me. This year I am flying home today (Friday) to watch the Grand Final on the telly. It’s going to be a quiet one, which is what I want. As I have said before, it’s an honour to be accredited to be here, and at the heart of the event. Thanks to Paul Jordan for help with the accreditation, and to my euro-buddy and travelling companion, Brian Singleton, for ensuring that, whilst being in the bubble is always hectic, it’s always fun. 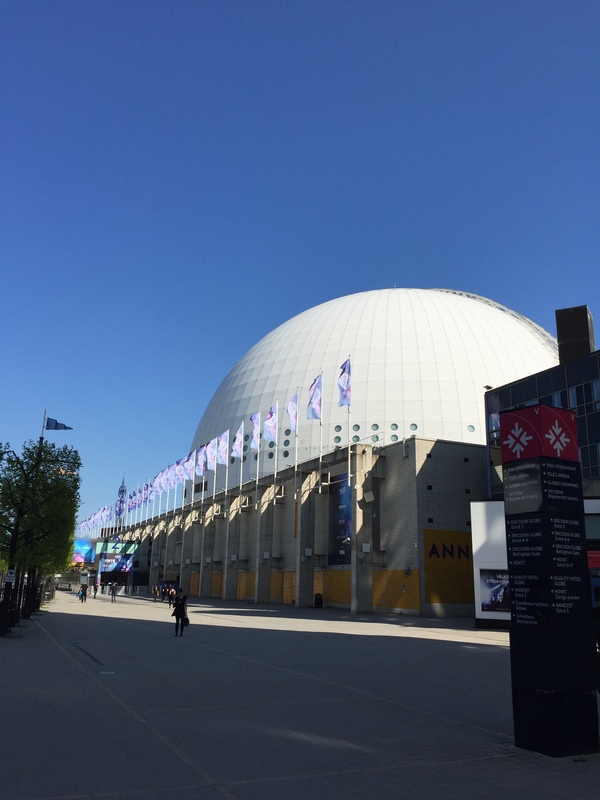 More from me back in Storbritannien tomorrow, with my final thoughts and prediction for which country will win the ESC2016. If you were watching the opening sequence on Tuesday evening, doesn’t it look rather like the Globe arena is being annihilated by an alien invasion? 😀 It’s the same sequence tonight, but with a different opening routine, the sylings of which are suitably schlager-tastic and Busby Barclay-esque. Lot’s of fun, with a witty musical take on what the ESC is all about. David Tennant’s younger brother does a great job opening the second semi-final. Since the national final Justs has worked on his moves, and the vocal is still strong. It got a great reaction from the young audience watching the family final in the Globe arena this (Thursday) afternoon. Should make it to the final. There are two big ballads from men in this semi-final. First up is Poland’s Micha?. His vocal is on point, his hair well set, and so as long as he doesn’t get counted out by the Israeli entry, this should get through. As I said on the blog before I arrived in Stockholm, I think Hovi Star has the best male vocal in the contest. The song connects with the audience, but is another entry with slightly distracting dancers. Not enough to distract from the voice and the song, going through I hope. Well, as you may remember, Ivan had requested to perform naked with wolves. Fat chance? Well, surprisingly there is the illusion of just that! Another performance using the projection trickery/illusion, all of which is well done. However, none of which seems to lift the song, for me. Not particularly on my radar before Stockholm, this comes together with an effective performance and strong vocal. Another well choreographed number, with Xena, sorry Sanja ably assisted by her warrior princesses. Should make it through. Nicky is ably assisted during his performance, with stereophonic vocals provided by the backing band. Aesthetically it all looks rather impressive, slick and polished. It makes the song feel more promising. Nicky’s vocal is a little thin, but with the back-up of the band the performance is safe. Not sure it will get through, but the family audience just gave it a good cheer at the end. There’s a slight danger that this might get cancelled out a bit by Serbia, but Kaliopi gives it some welly, and with the exception of the rather screeching final note it’s a sound performance. Like in 2012, Danny is channelling his inner Michael Jackson (shamone!). The performance has smooth moves and vocals, with slightly questionable hair styling, and the bizarre introduction of a trampette! Lithuania have done well in the last few years, and their luck will probably continue tonight. It’s a strong song, and one of the best female vocals of the week, but the staging is a bit off for me. Sitting singer Dami Im on a big box for much of the song feels a bit lifeless. The emotion of the song feels like it needs a more physical performance. Going through for sure, but lacking the impact I had imagined. Manuella’s channelling of Taylor Swift prior to Sweden seems to have been diluted and replaced with too many distracting elements. Not the strongest of songs, it now looks and sounds a bit of a hot mess. Room in that taxi for Manuella, I’d say. The best bit of the song is used on the voting recap, so it doesn’t sound as disjointed. Agnete’s ice-cool styling is great, but the swtich between two styles in the song still doesn’t work for me. Dull staging, great frock. For Eneda, it may well be the end of the road. An upbeat end to the second semi-final. It gets a great reaction in the arena, and also a ripple of applause in the press centre. Just enough Bruno Marrs and Bonnie Langford (back in the day) to work. Youthful energy and up-tempo numbers are lacking in the competition this year, so this is a welcome conclusion to this semi-final. Can you pick ten qualifiers for the final? To be honest, I’m finding it difficult! Overall I think the standard of songs this year is weaker than in the recent past. I know that by the time the Grand Final arrives on Saturday night we will, most likely, have a cracking show, but at this point it’s not feeling very inspiring. Good job that I am flying home on Friday night so I can watch the show on the telly. Another lovely day in Stockholm on Wednesday, and thankfully rather cooler than when we arrived. After a busy couple of days there was a slower pace as the first dress rehearsal for the second semi-final was later in the day (5pm). So, a bit of a mooch about the city and a few touristy things to do before then. It’s an unmissable trip for any Abba fan. 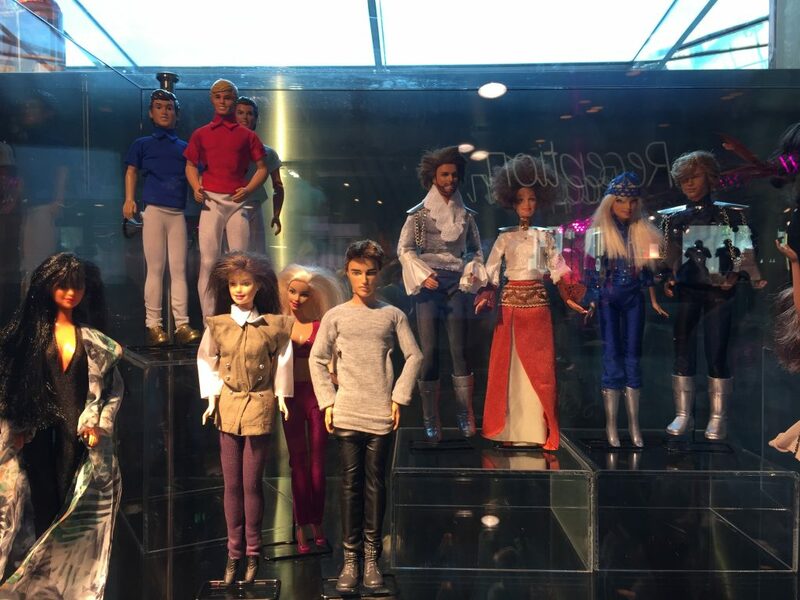 Given that I’ve been before there was a new draw this time, with the display of a range of Eurovision memorabilia, so for those of you visiting this weekend, this is double your pleasure, double you fun. 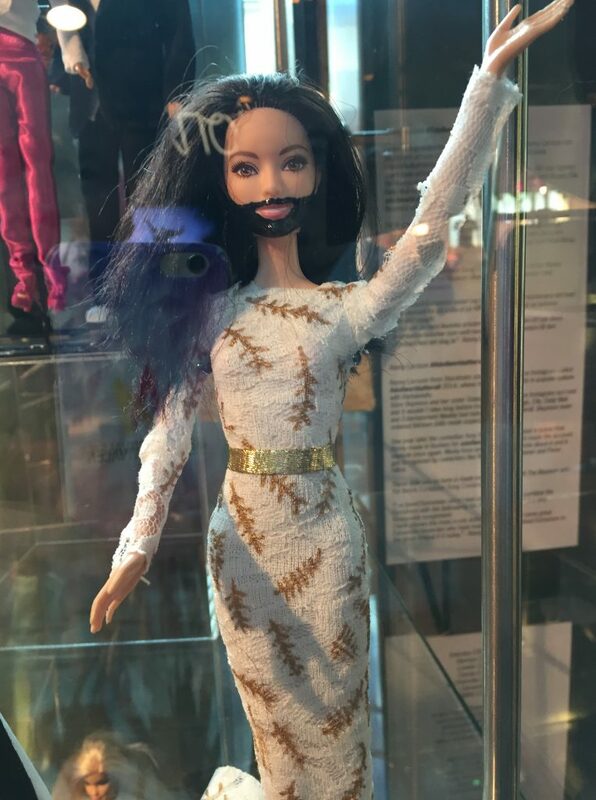 Last year I told you that there could be no higher accolade than to be immortalised in the annals of Eurovision history than by being captured as a Lego figure. 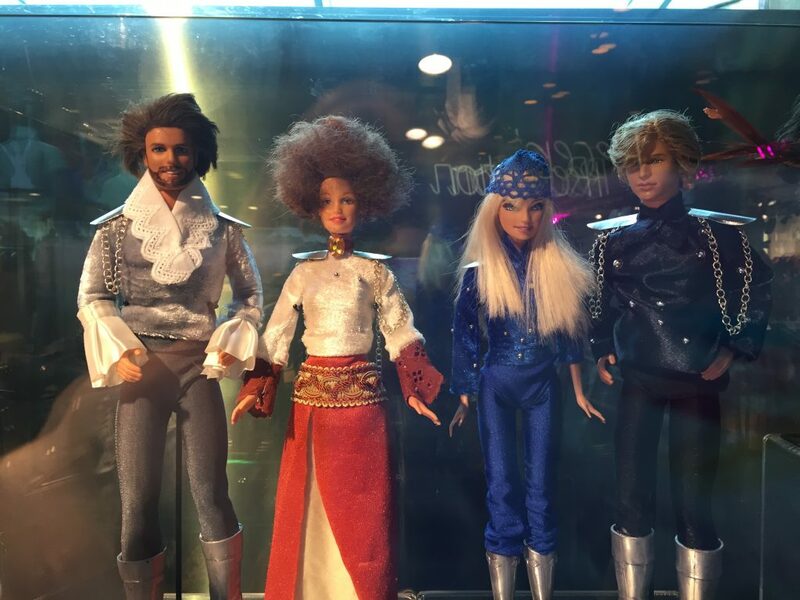 Well, at Abbaworld there is another marker of pop culture perfection… a display of Eurovision acts that have been immortalised as a Barbie/Ken doll. Such a lot of fun, and drawing a lot of interest. Can you spot you favourites here? It’s a genius idea! If you’re in the city this weekend, go check them out! The Conchita doll looks like Rylan Clarke! Once again their lively banter should amuse you. Ten out of ten for effort, that’s for sure. Later today (Thursday) I will report back on all the performances ahead of the broadcast tonight (BB4 at 8pm in the UK). What was good about the rehearsal yesterday was that I saw the UK’s Joe and Jake perform for the first time. 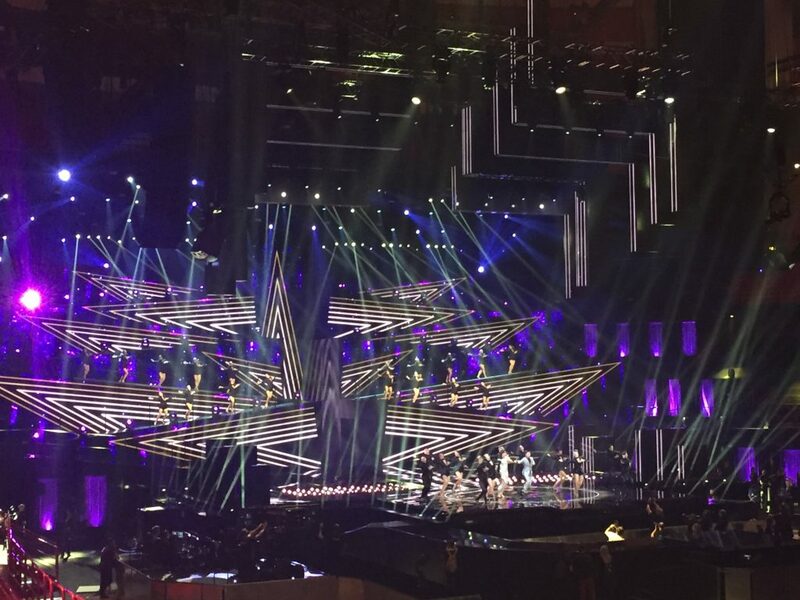 They have adapted well to the Eurovision stage, and their delivery is still confident and full of energy. 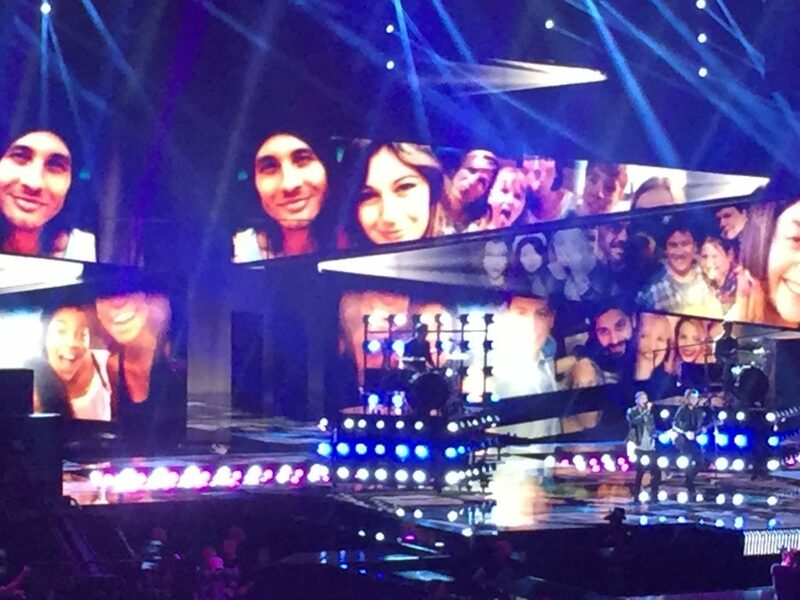 The backdrop features selfies that were sent in by the UK public, and it is really quite effective. The guys are riding high with the bookies, with them now just shy of the top ten favourites. All rather promising, and seemingly rather popular here in Stockholm. 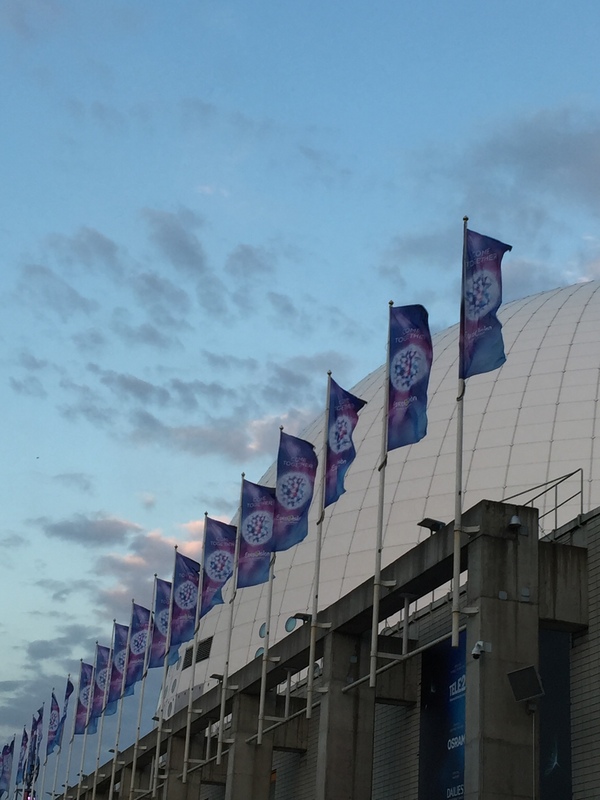 Last night ESC2016 finally jumped the first of three fences. Semi-final one was a slick show, for sure. I hope you enjoyed it. I hear that the BBC opted not to show the interval act that I had highlighted yesterday. Pity, as it was a fabulous piece of choreography which symbolised the issue of displacement of people across Europe, and the migrant crisis. Yeah, a brave move given the light entertainment oeuvre that the Eurovision Song Contest occupies. Tackling such an issue in this context seems a bit strange, but better to look at it any capacity than to look away. If you can catch-up online and you’re interested, then see what you think. Did your favourites make it through to the final? Our predictions weren’t bad last night: eight out of ten correct, only Croatia and Czech Republic off the ‘napkin of death’. The reveal of the top ten became increasingly tense as we were running out of places, with too many countries still in the mix. It was bit of a shock that Greece got the boot, as it ends their run of qualification for the Grand Final. Perhaps the biggest shock of the night across social media was the exit of Iceland (I’m not biased, but it was my favourite last night!). There was a HUGE outpouring of disappointment on social media that Greta Salome fell at the first hurdle. People can’t fathom why this happened. If we take an objective step back, there was only Sweden voting last night from their Nordic supporters, so that might be a factor. And perhaps the viewers felt that they had already seen an artist interacting with the backdrop projections, like in Sergei’s performance? What a night! It’s a unique feeling knowing you had the performance of your life and a whole stadium shouting out for your country when they were announcing the finalists and still not make it into the finals. I can honestly say that I feel like a winner after tonight’s show and there is nothing I could have done better. And of course my team has been the best I could ever have had. I’ve seen the twitter and Facebook discussions and I am beyond grateful for the support I’ve been getting. I’m just as surprised as you all are, but maybe just not as disappointed, simply for the fact that I am so happy with the performance. I am also so grateful for the great comments we got from the commentators and of course Nickey Byrne (From Westlife saying it was the best performance of the night) The message about the song has been spreading like fire for the last few days and we will take that message and make it ours. I am not sad tonight…..surprised yes but overall grateful especially for all of those messages I’ve been getting from you across Europe and most but not least the people in Iceland. A classy response from the gracious Greta. 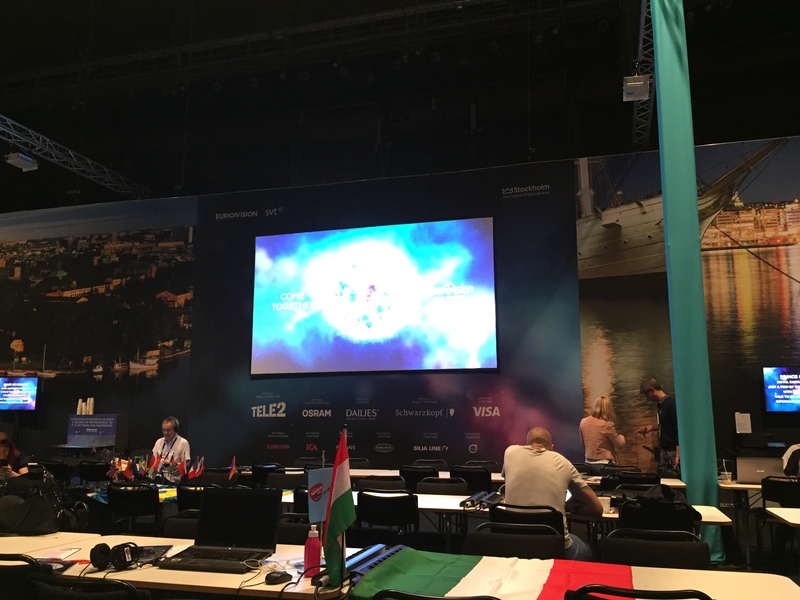 ESC2016: are the singers on song for semi-final one? There’s a nice buzz around the city today. 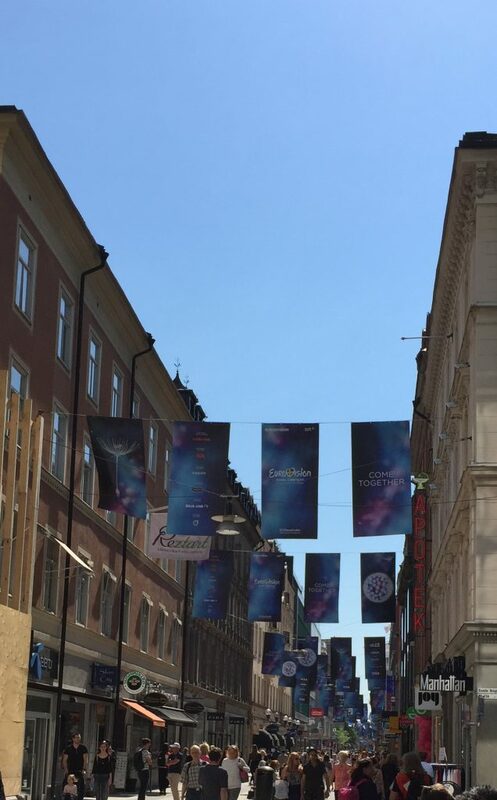 As you can see Stockholm has been decked out with the branding theme for the competition this year: Come Together. It’s all about unity and cohesion – continuity against a backdrop of change. These are familiar themes from the cosmopolitan heart of the Eurovision Song Contest. This will be a running theme, as you would expect, through the three television broadcasts this week. Having seen the first semi-final dress rehearsal in the Globe arena last night, it’s now time to see it on the big screen in the press centre. You know – to see what it looks like on the telly! As is now customary, the show is opened by a reprisal of the winner’s song. More than just a rehash of Måns’ performance from last year, this is a reinterpretation, as you will see. 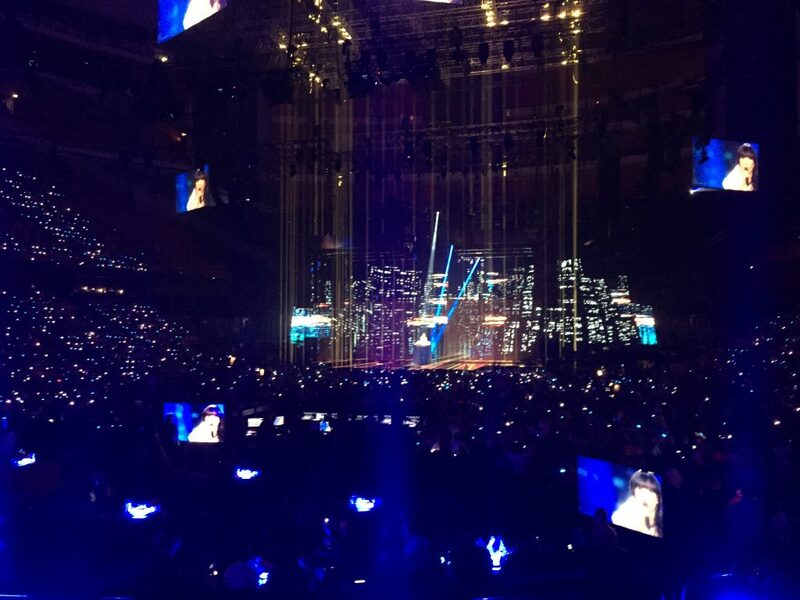 It’s based upon the performance from Melodifestivalen back in March, but on a bigger scale. I tell you, it’s beautifully done – makes me want to have a little man cry. If you thought the interactive animated sequence with Måns and the stick men was impressive, wait until you see 44 children take part this time. A lovely start to the show. Our hosts this year are Måns and the returning Petra Mede, who presented the gig in Malmö in 2013. They have great chemistry and a very funny script. You will like how they bounce off each other, it seems natural and they are highly likeable. I’m not going to re-post performance footage from earlier. 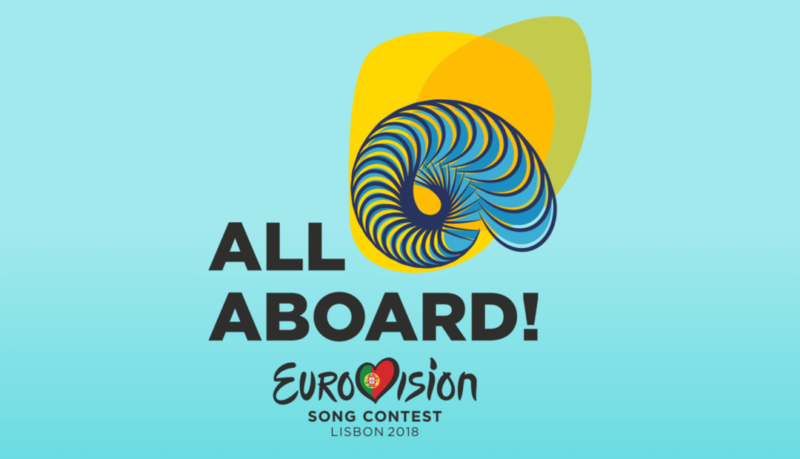 Today I’ll give you the heads-up on what I think since seeing them all performed on the Eurovision stage for the first time. See if you agree tonight, BBC4 at 8pm (in the UK). It still sounds retro, but on the dated end of that spectrum. Sandhja sounds a bit pitchy but is more than ably assisted by the best group of backing singers I have seen so far. You will love them and their moves! Highly entertaining, but not enough to get to the final. Effective staging and choreography makes the best of the song. Good performance that looks much better on the Eurovision stage than elsewhere. That’s the right time to peak! This largely unforgettable song is made only slightly more interesting by the inclusion of a dancing spaceman. No really. He’s throwing shapes like Sisqo did in his Thong Song video (and he’s got his hair). I can’t see the gimmick lifting the song enough to get to the final. A good performance, if not for the inclusion of a man randomly banging a drum in a way that doesn’t entirely match the song. The camera makes the most of Freddie’s non-vocal talents, and it should get through to the final. In all my years of watching the Eurovision there have been loads of costume changes. Probably the most memorable was Bucks Fizz and their Velcro skirts back in 1981. This year there are a handful of costume malfunctions, it has to be said. The first is from Croatia. Rarely will you see a frock horror replaced by the reveal of a further frock horror! You’ll see what I mean. This was well received in the arena, so who knows. Could well be going through. Blimey, Iveta gives it some welly! I have been won over by her performance. Great visual effects and a powerful vocal should see this song through to the final. After all the brouhaha last year surrounding the Russian entry it seems it’s okay to like their effort this year. You may remember that for many people the sentiment of the song A Million Voices jarred too much with Russia’s human rights agenda, not least with LGBT equality. This year there are no such concerns, not least because their singer Sergei is highly popular with the gay fans (Sergei has a penchant for taking his top off in photo shoots, which can only add to his likeability factor!). What a pity that Gabriela has to follow Sergei. I really like the song, but it falls flat after the previous spectacle. Like the song title, Gabriela just stands, and it’s not enough. I thought it was a strong ballad to qualify, but not sure now. I guess in terms of both sounds and staging this can be accused of being a bit of old school (a familiar theme this year!). I know I said in an earlier post that this was a new sound for Cyprus, but the staging is all rather cliché as you will see. That said, it’s highly enjoyable. I expect to see this get through. This looks and sounds great. It got a fantastic reception in the arena last night, and applause in the press centre just now. Nothing else sounds like it, and singer Zoe gives an energized and enthusiastic performance, so I think it’s more likely to get to the final than before I got to Stockholm. A confident vocal and stage presence from Jüri. I’d like it to get through, although the cool styling’s of singer and song might be a bit too subtle for the televoters tonight. It seems that singer Samra has been suffering ill health whilst in Stockholm. Her vocal has got better, not a pitchy as it has been. Is the song interesting enough? A bunch of tired stage techniques (fire walls and flames) see Azerbaijan rehash their own tricks of staging from the past. For me, all too lazy. Perhaps this will be the first failure to quality? If you know my music taste, which you probably do by now, you know I’m not getting anything out of this song. It has a niche, for sure, and that should itself find an audience, but will that audience be wide enough for progress to the final. I’m not convinced. What we have seen in earlier performances totally transforms to the stage. Greta interacts with the projections very well. Like Sergei, it’s all drilled to within an inch of itself. What’s cool is Greta actually looks like she’s having a ball. Going through for sure, I’d say. Stunning. A bit of a hot mess on stage, in terms of the concept – will it translate, especially when it’s not sung in English language. It’s refreshing that it’s not. I liked the song before I saw it on stage. I’m flip-flopping between it going through and going home. At this point, I think going home. I am a bit disappointed by this staging. I had expected a more dynamic turn. A largely static Ira Losco is joined on stage by a distracting male dance whirling around her. Given that Ira has just announced her pregnancy, this might be the reason that it’s not all guns blazing. The song is great, as is the vocal, so I hope that will capture the votes tonight. All in all, this semi-final has improved some of the songs immeasurably. Others have stalled a little. There will probably be few surprises in terms of result tonight – see what you think. I hope your favourites get through. You will have guessed mine – by a country mile it’s Iceland, closely followed by The Netherlands, Russia and Malta. The interval act will give you pause for thought – no spoilers from me. It jars a little on the backdrop of music and good humour, but that’s probably why it is actually, in all honesty, really quite moving. I had a tear in my eye. See what you think. So, that’s it from me for now! I hope you have your ‘napkin of death’ predictions ready? We will be selecting our top ten qualifiers later. I’ll post that update before the semi-final tonight. And a very lycklig tisdag från Stockholm. As is usually the case, whenever I travel I get slightly obsessed with the weather. I guess we all do. We have had lovely weather over the past few days in the UK, and the same seems to be true elsewhere on the continent, and in Stockholm. This is my fifth visit to the city, and the first time when the weather isn’t freezing or suitably cold for the month of March (when I have been in town for Melodifestivalen). It’s a bit of a shock to the system – doesn’t feel like my normal Stockholm syndrome! In fact, talking to locals yesterday, they are similarly surprised by the heat. It’s so hot in the city! 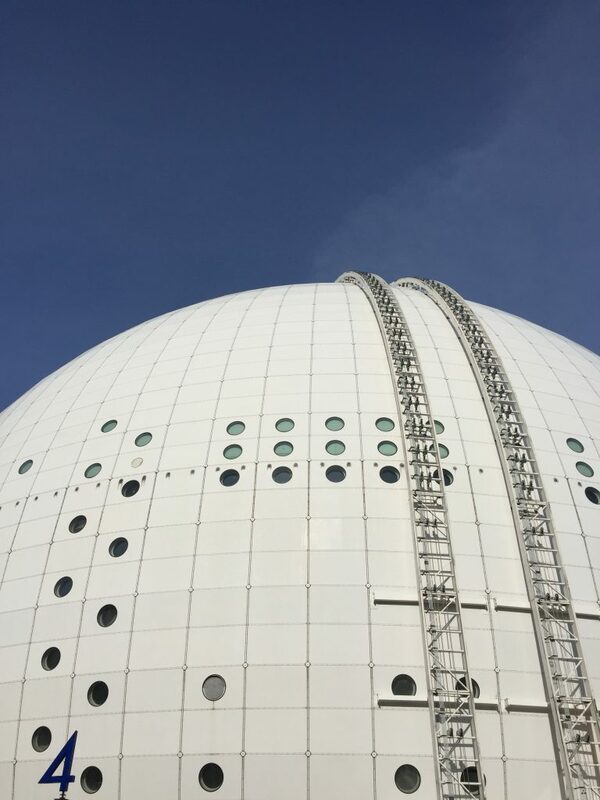 Yep – that’s a globe arena for you! It’s a nice working space, with a gentle buzz. We had arrived just at the first dress rehearsal was taking place, and it was being projected on the large screens in the press centre. I wasn’t paying much attention to it as we were attending the Jury Final last night. This was the first public dress rehearsal, and more importantly, it’s the occasion when the national juries vote. As you will probably know, the ‘Big 5’ (France, Germany, Italy, Spain and the United Kingdom) are the countries that contribute the most to the EBU coffers, and as such they get an automatic pass to the Grand Final. Some people are a bit sniffy about this as it’s seen as favouritism, and it does breed accusations that sometimes the Big 5 just don’t try to send songs that are vaguely competitive and popular, as they don’t have to battle through the semi-finals and the indignity of being sent home early. It wasn’t a great year for the Big 5 last year, when Germany finished in last place with the dreaded ‘nul points’. They were joined in the bottom five by France and the UK, with Spain languishing nearby in 21st place. Only Italy struck gold last year, finishing a well deserved third place. So what of 2016 – have they upped their game? Will it be nul points and national embarrassment for the Big 5, and how will defending champs Sweden do this year? Doesn’t Amir have a look of Bradley Cooper about him!? This is a great entry from France and has been in the bookies top three for months. News came back from his first rehearsal that it was a bit wobbly, but hey that’s what rehearsals are for, right? Back in 2011 France were the hot favourites with the bookies right up until the night of the Grand Final, when the wheels fell off for poor Amaury Vassili. His operatic number saw him pitch the wrong first note and he never fully recovered. Let’s hope Amir lives up to the hype this time. France haven’t won since 1977 (we think we’re bad in the UK), and whilst I can’t see that happening, it should deffo be top ten, perhaps top five. Can Germany storm back up the leader board this year after their disappointing showing last year? I like the way it drops into English – but perhaps more of this needed to lift the hook of the song for us English speakers? The song is growing on me, but the music video is a distraction, so I’m hoping for staging in Stockholm that really enhances the song and enchants me. The most dated sounding of the Big 5 and Sweden this year. Whilst the sound isn’t particularly fresh, this is the first time that the Spanish entry is sung completely in English. Oh Dios mío en España! When I blogged from Stockholm back in March, I said that the UK had selected the best of our potential six songs for Europe. Best of a bad bunch, perhaps. Well, a couple of months on and I don’t feel like that. It’s a really strong song. The more I listen to it in the mix with all the other entries, the fresher it sounds. Mix Coldplay and 1D together, and you’d get this. Since their first rehearsal a couple of days ago, the boys have bounced up the betting odds. Odds of 100-1 and over have now been slashed, and they are (as I type) 14th in the standings (from way down in the thirties) – very encouraging for our lads. Blimey, we might even make it over to the top half of the leader board this year! Having met Joe and Jake briefly a couple of weeks ago I hope their likability factor is also being played up this week. No national embarrassment for us, or them, however it goes this week. And I think it will probably be better than any of us can imagine. Regular readers of this blog over the years, and my friends and euro chums, know that I am seemingly more biased (and blinded!) towards the Swedish entries every year. True story, I guess. True because I like the songs they select – simples. 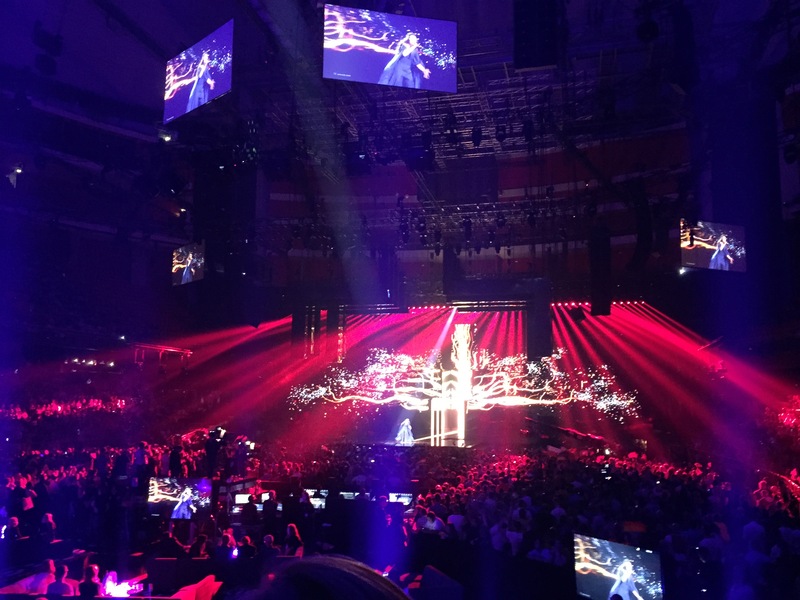 If you read my blog post from March, it was written when I was in Stockholm for Melodifestivalen. It was the clear favourite to win that contest, which it did. At the time it then also became the favourite to win the ESC. It has drifted slightly sine then, but still sits in the top five. I haven’t changed my mind since March having now heard all 42 entries. I still think this is the song to beat. Sweden are not ready to relinquish their Eurovision crown just yet! 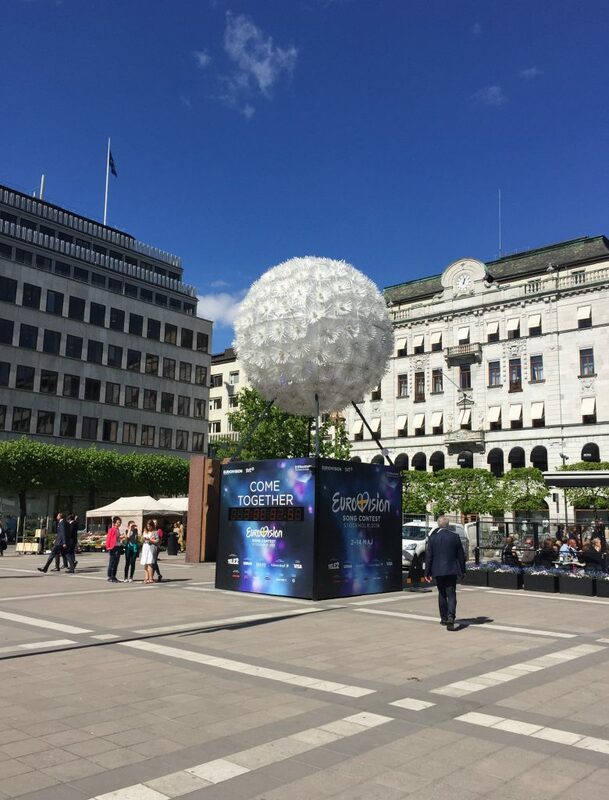 Already a smash hit in Stockholm, it will become an international smash hit after Eurovision. An even more encouraging sign for the popularity of the song is that MTV UK have play listed the music video on their channel. 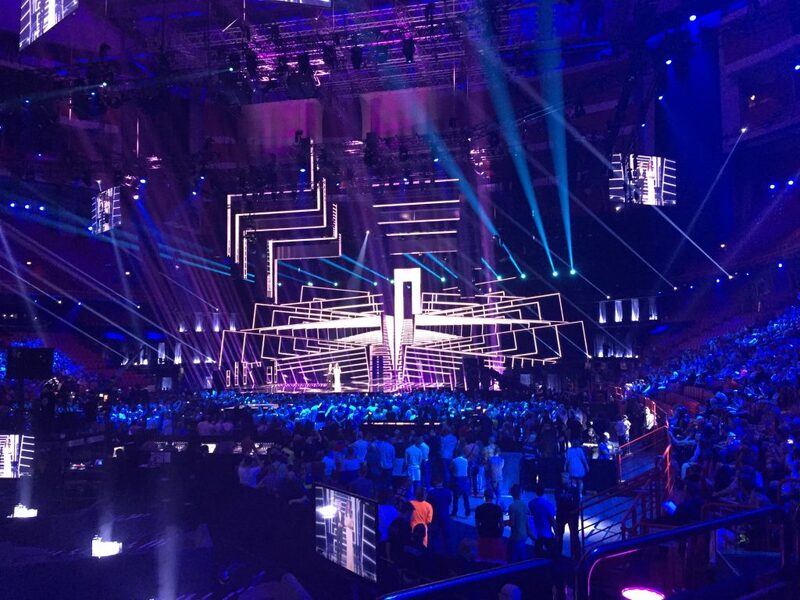 This is unheard of – a Eurovision song on MTV in the UK before the finals. If it does win, and we’re back in the Sweden, I will probably sit out either the Melodifestivalen or Eurovision next year. Ok, we have to select another ten songs to make it through to the Grand Final on 14 may. Don’t forget to tune into BBC 4 in the UK, on Thursday 12 May at 8.00pm. And remember that at Eurovision YOU DECIDE! It feels effortlessly cool, and I really hope it gets to the final. There was a bit of a kerfuffle in the Eurovision fan community when the much fancied, and much backed at the bookies, Edyta Górniak didn’t win the Polish selection. She had previously represented Poland back in 1994 (their debut year) and finished as runner-up to Ireland. There was much anticipation and expectation that she would get the ticket to Stockholm. However the surprise winner was Micha? Szpak. There aren’t many big ballads performed by men this year (although a couple in this semi-final), and this is reassuringly familiar and uplifting. I hope it makes it to the final. Currently at the foot of the bookies betting odds, which I can’t quite figure. Sure, it’s a bit vanilla and generic, but I wouldn’t have put is as the weakest song we will hear next week. Then again, the staging is a bit lifeless, which doesn’t help. Probably my favourite male vocal this week, and the better of the male ballads I’d say. The familiar Sam Smith stylings and sound, as well as what should be a passionate stage performance, should see it through to the final. I’m sure it will be popular with the juries, which will help. It has been reported that IVAN had requested to perform naked, and accompanied with live wolves. I haven’t seen his rehearsal footage so far, but I guess we all know the EBU said no to both requests. That would have made a rather underwhelming song a bit more memorable! Serbia are one of a bunch of countries who now prefer to sing in English, yet retain the accents of their own music styles. This is a good crossover of the two. A great vocal places Sanja as the diva of this semi-final. Why else embody the ultimate diva, Maria Callas! If Sweden win again this year they will eclipse Ireland and have the most Eurovision wins. Currently Sweden and Ireland both have six trophies, but I don’t think Ireland will be challenging for their seventh victory this year. Nicky Byrne seems all kinds of likeable, but this track is perhaps a little too generic to make an impact. Mind you, Westlife fans across Europe might give it a boost.. The novelty of Australia being invited to participate as part of the 60th anniversary celebrations last year received a mixed response from some fans. Was this pushing the boundary of where the Contest belongs? Perhaps. Then again, Azerbaijan and Israel are both technically on the periphery of Europe and beyond, so why not include Australia? 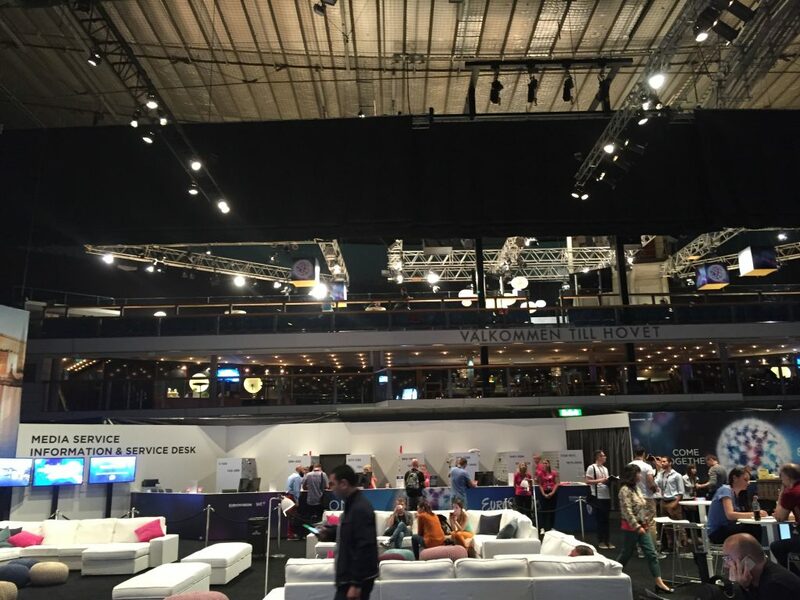 One of the main reasons for the invitation was due to the HUGE popularity of the ESC down under. 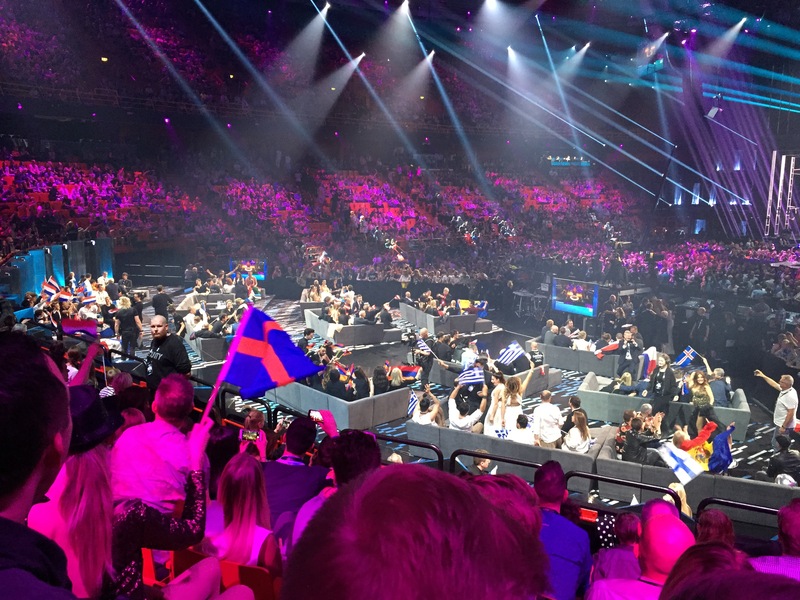 Each year the contest is broadcast to an eager audience, and they even do their own televote, you know – just for fun. I guess it seemed like a no-brainer for the EBU to do something bombastic and inject a frissance of the unexpected to the anniversary year, and invite Australia to join the party. It seems like Slovenia have tried a little too hard this year, mixing a whole load of elements to produce something that’s all a bit too cliché, right? 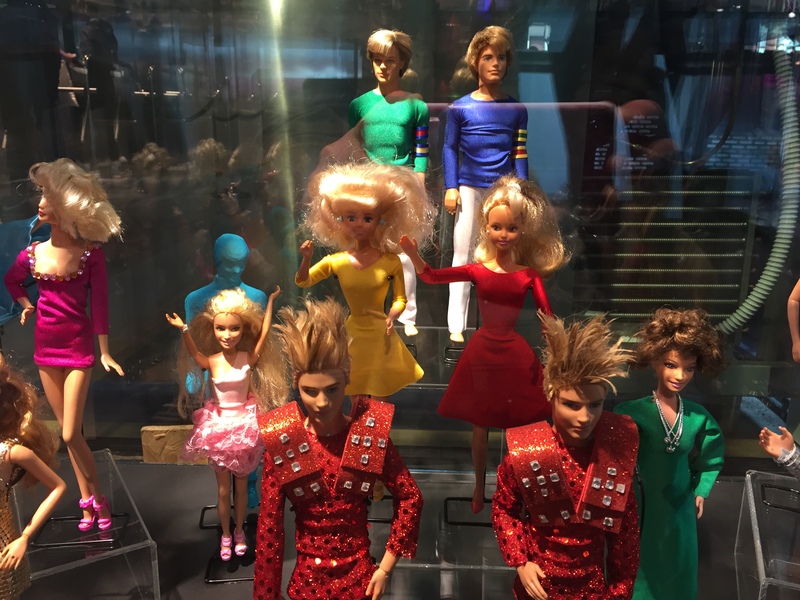 A song from Taylor Swift’s back catalogue, a costume change (circa Bucks Fizz 1981), lyrics 101, and a wind machine. The song isn’t terrible, but the whole package needs work. 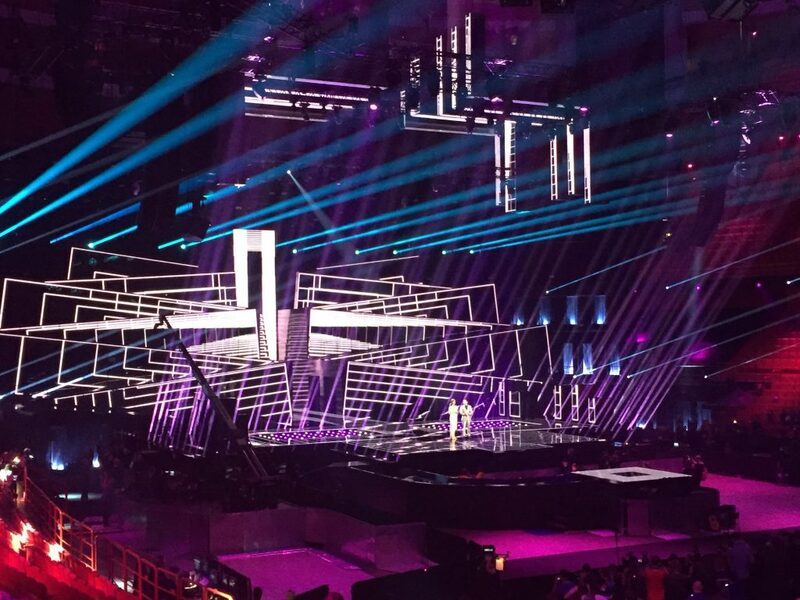 But hey, I haven’t seen it on the Eurovision stage yet, so it might have been tweaked. That said, I can’t see it in the final. This feels quite generic to me, but it seems to be quite popular with the bookies. I think the weakest bit for me is the chorus – it doesn’t hook me – whereas the verses and bridge do. The rather dated looking music video doesn’t add anything, so if the staging is right I think it will get through to the final. That said, look at the effort that Denmark go to in their selection process – makes our meagre BBC effort look embarrasing. You think you are gods. It seems that the lyrics address the deportation of the Crimean Tatars in the 1940s by the Soviet Union, and the 2014 Russian annexation of Crimea. No politics there, then? The EBU have deemed the song as non-political, so we’re being told to not read it as such, but how can we not make those connections? I think the same of this entry for Norway as I do for Denmark. What’s worse about this song is the odd shift of tempo. A real mismatch of two songs in one. As with Denmark, I think it’s adios Norway at this stage this year. And so we end the second semi-final where we started the first. This is probably one of the more blatantly familiar sounding songs in the competition, but my inner disco diva *loves* it. Where’s the baseline hook from, Another One Bites The Dust/Good Times? Where’s that sassy brass and chorus from, Uptown Funk/Oops Upside Your Head? I don’t care! There’s enough youthful energy and just enough 2016 stylings in there for it to work (isn’t that right, Fleur East?!). I hope Laura and her gang make it to the final. There aren’t too many hands-in-the-air hip-swivelling songs in the mix this year, so we need it to make it through! For me, watching all these videos is always a little distracting, as they don’t always make the songs sound good. And for as much as it is probably better to judge the merits of the songs by listening to them alone, it is only when we see them on the Eurovision stage in their final form that we can actually judge their impact. I think we have a potential winner in both of the semi-finals, which makes it interesting! Dun dun dur!